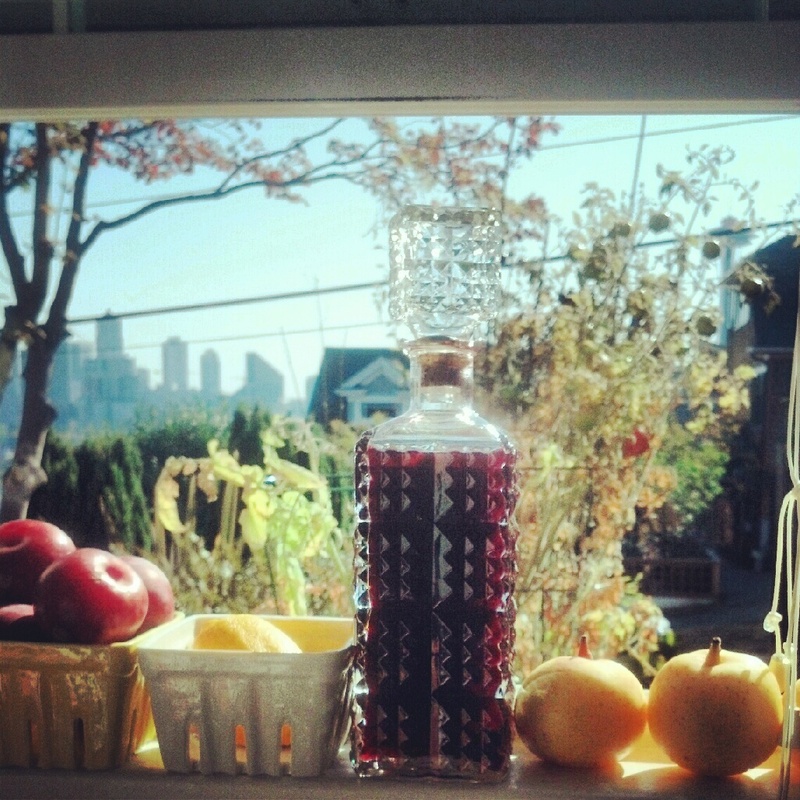 OK friends, you all know much I luuuuuuv infusing liquor. This time, I attempted some sweet brown brandy. 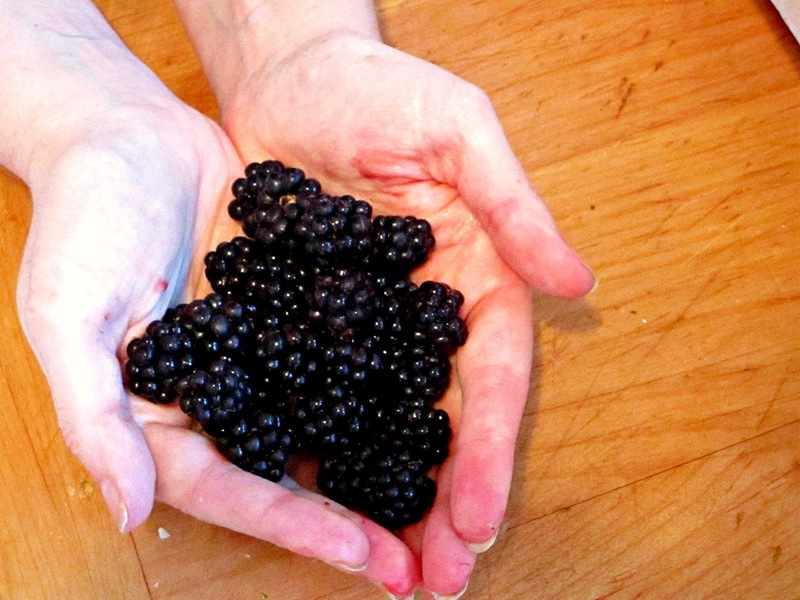 Every August, we pick blackberries at a local park (see pics here! 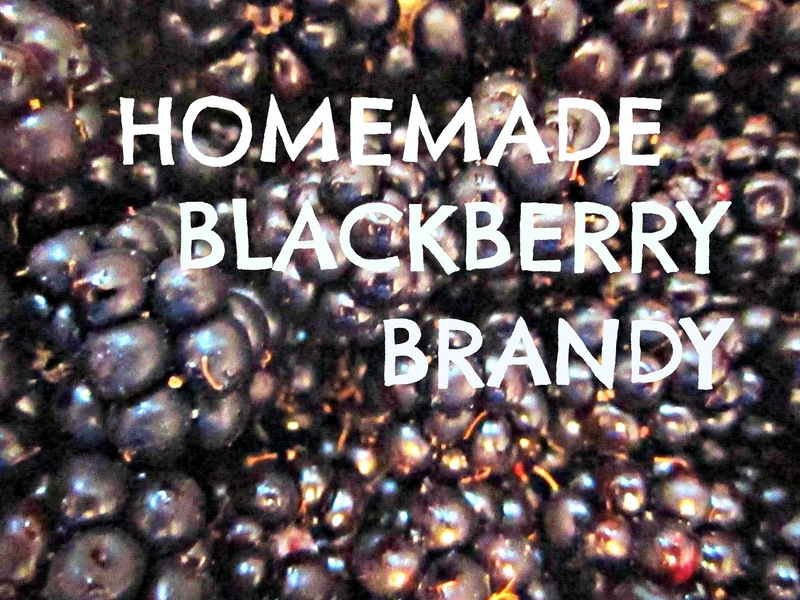 ), and this year we used those for some sweet, sweet homemade blackberry brandy. YUM! "August was light years ago," you say? This stuff takes forrrrrreeeeevvvver to infuse. About 2 months. Ouch. Such a tasty treat if you can wait though! 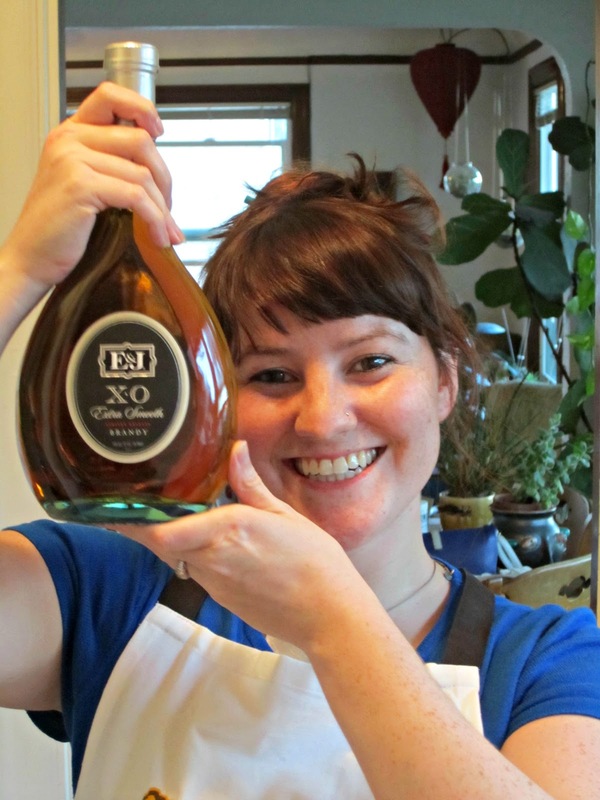 All you do is pour your brandy into a glass bottle with a tight closing lid about twice the size. Add as many blackberries as you can, leaving about 2 inches of liquid at the top. Add about 8 teaspoons of sugar per fifth of brandy. Enjoy your booze, peeps! I poured some over ice, and added a splash of 7-up and a fresh squeezed lemon slice and it was divine. We are having a swanky dress up party for Jerd's 30th bday this Saturday, and I am calling this concoction the blackberry dandy. YESSSS!!!! Oh wow talk about amazing sounding! I'm going to have to try this out myself for sure! Ummm whaaat?! Yuuuuum is all I can say, and also that I would like to try to do this! This sounds fantastic. It's on the to do list. Thats awesome! Gotta give it a whirl-- can you use any type of berry? Um, this looks amazing and like my kind of drink. I'm definitely going to try this next year! Do you think it would work with blueberries?